This place is looks good actually, with huge space and many of tenants with various of authentic Indonesian foods. But since it was heavy rain that time, it was bit quiet and people seems stay at home i guess. Not really hungry at that moment, but since i already there, so i try only two of dishes. 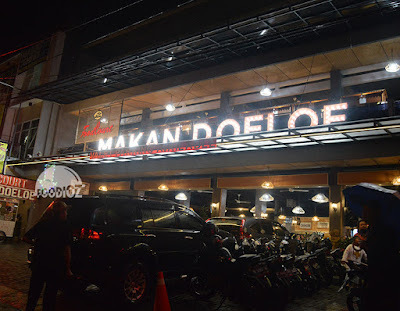 One is Nasi Lengko Cirebon. 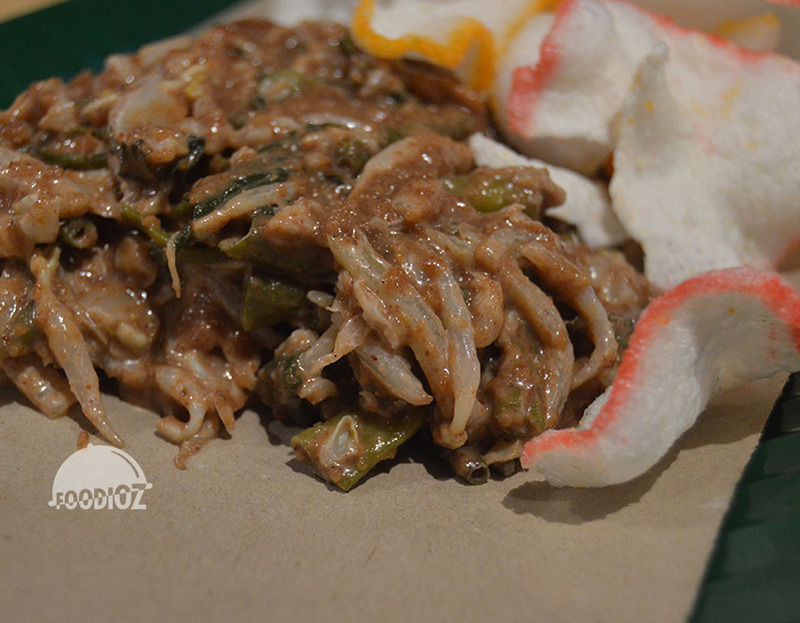 It is typical dish come from Cirebon, West Java. 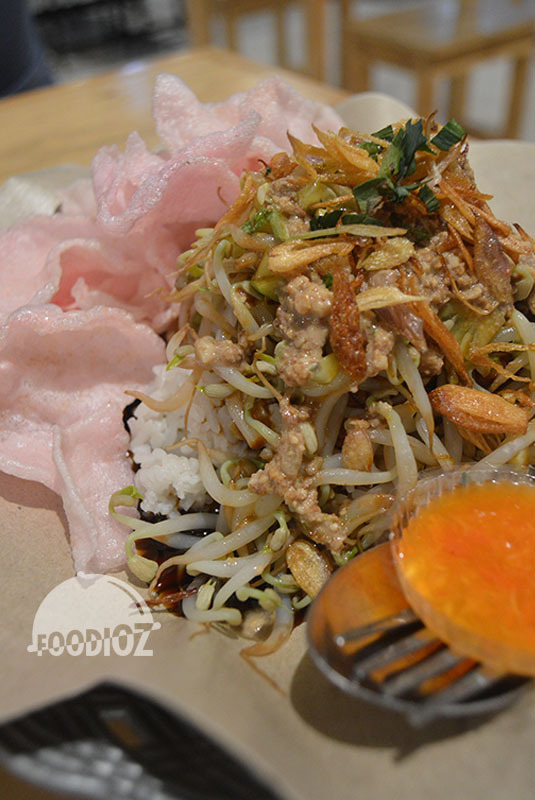 It is a rice served along with various of vegetables without any slice of meat. So for you vegetarian or on meat diet, maybe this one could be an option. It has sweet taste by the soy sauce poured on the rice, also peanut sauce on top. 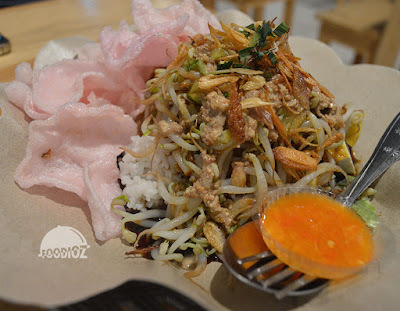 I found out it is quite unique, looks similar like Indonesian dish, rice served along with various of side dish and vegetables. Only this one nothing about meat, low calories and vegetarian. But when i eat alot, i just found out it is super sweet by the soy sauce, i couldn't taste other than sweetness. Luckily there's a chili could balanced the taste. 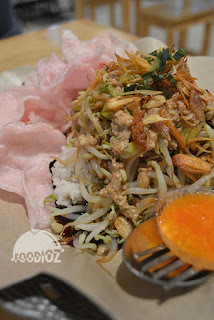 Another dish i had here is Lotek Kampung. It is also one of typical dish from west Java, a bunch of various vegetables with thick peanut sauce served along with rice cake and crackers. I m sure like this one. Vegetables is fresh and peanut sauce such balanced and delicate. It has good thickness also nice seasoning, kinda sweet too but it is good. And for your information, foods here are totally affordable. I am sure satisfied with both dishes. 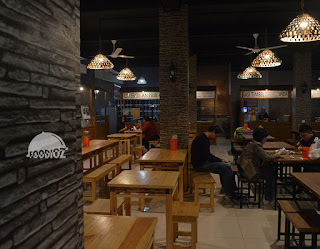 It has authentic and traditional taste also this is the exactly price we should get by having our local food here. Compare going to mall, i am sure we would never have this kind of food. Looks same, but sure is different taste and feeling.